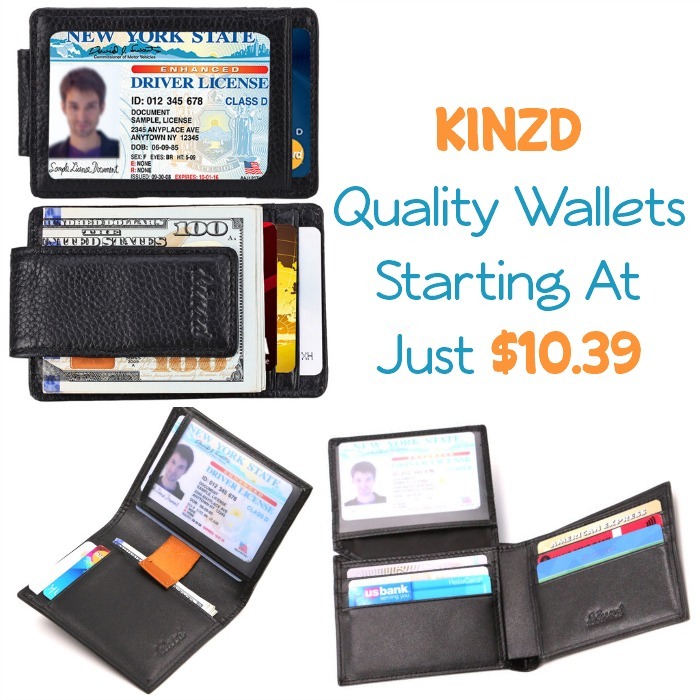 Kinzd Wallets Starting At Just $10.39 With Code! 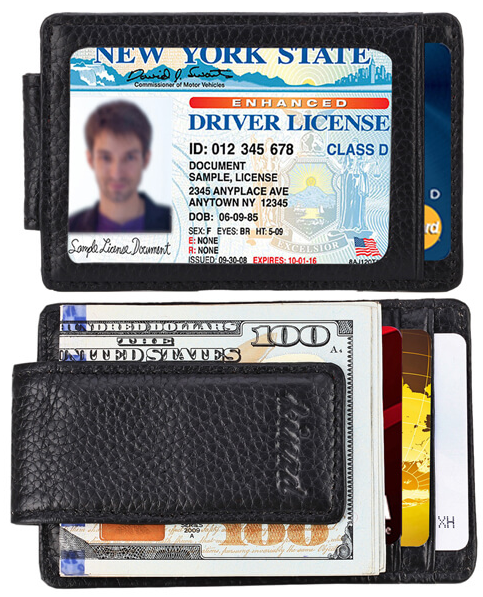 You are here: Home / Sponsored / Kinzd Wallets Starting At Just $10.39 With Code! In our family we have a lot of summer birthdays – 3 male and 1 female. Add to that graduations, off to college celebrations, and more it can get tough to think of what to gift! For me, girls have always been easy – beauty items have worked since my DD was 3! lol The boys were a bit tougher, 1 collected EVERYTHING, one is a drummer, and one is into everything internet related and their birthdays are less than 1 month apart, 1 in June and 2 in July (2 days apart). 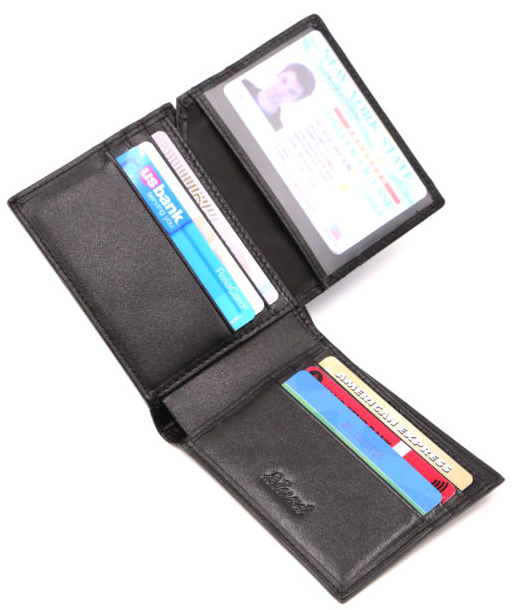 Recently, I was contacted by a company called Kinzd and asked if I would like to check out their men’s wallets…. why, YES, I said! lol I was able to try 3 wallets and they are as different as the boys are! Everyone that has seen them (and been asked their opinion by me) agreed they appeared to be high quality and durable. They are thin, which is always a plus in my boys’ eyes, and they just overall look sharp. The one I thought was great was more of a money clip. It has a very strong magnetic clip on the back and is very thin with a place for your id on the front and room for credit and debit cards as well. I also love that it comes with RFID blocking technology so if someone with an RFID scanner tries to steal your info from your cards – it won’t read through the RFID block. They are very well priced, too, this on is just $13.99, but you can get an additional 20% off when you use code: KINOFF20 making it just $11.19! Made with soft embossed Full-Grain leather, this men’s slim leather money clip wallet is made by the most skillful workers, ALL BY HAND. 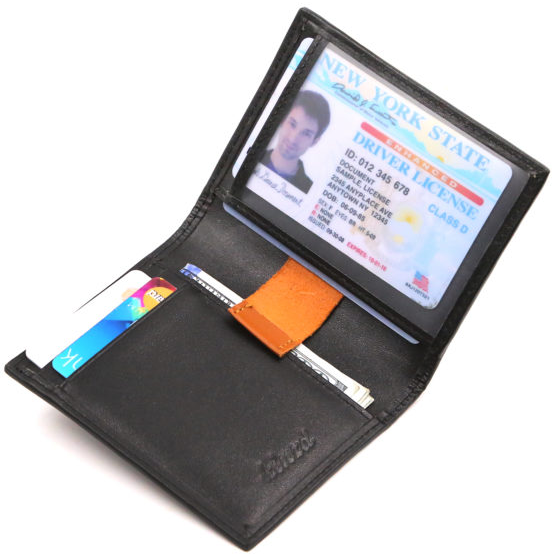 Fitting nicely in your front pocket, this men’s leather money clip wallet comes with 3 card slots, an I.D. holder and 1 Change pocket. Most men’s magnetic leather money clip wallet contains only 2 average magnets and has weak magnets. However, we use 4 rare earth magnets (instead of 2) to hold on to your cash. Rare earth magnet, made from alloys of rare earth elements, is the best permanent magnet that offer the most powerful grip. If you’re on the lookout for some quality wallets for upcoming events, then make sure you take a look at the ones that Kinzd is offering – for the price they are great!